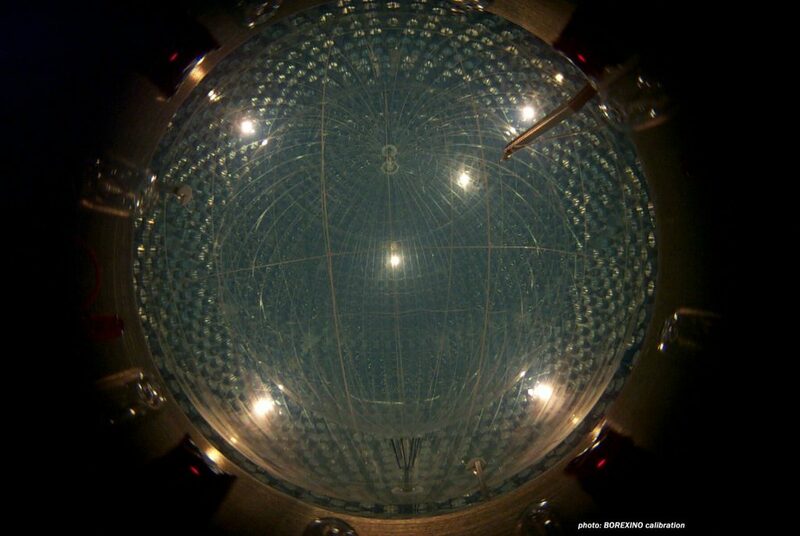 Since 2007, the Borexino experiment has been performing a spectroscopic measurement of the solar neutrino flux. Due to the low energy threshold and the unprecedented level of radiopurity achieved in the liquid scintillator target, Borexino is able to cover the full energy range of the solar neutrino spectrum. By now, all spectral components originating from the solar proton-proton fusion chain have been measured, verifying the energy dependence of oscillation probabilities expected by the stanard MSW-LMA oscillation scenario. Moreover, Borexino has performed a measurement of the geoneutrino flux produced by beta-decays of radioactive isotopes embedded in the Earth’s crust and mantle. The group in Mainz is engaged in the continuous improvement of the solar neutrino data analysis: Specific aims are a high-precision measurement of low-energy boron-8 neutrinos and a possible first detection of the CNO neutrinos flux. The CNO fusion cycle is subdominant in the Sun but prevails in heavier stars and constitutes an excellent probe for solar metallicity.Our core competence is the tagging and veto of neutrons and radioisotopes created by cosmic muons in the scintillator target and posing a severe background for solar and geo-neutrino detection. Moreover, we are investigating the reconstruction of the faint Cherenkov cones accompanying the scintillation signals, improving directional reconstruction and thus background reduction for solar neutrinos over isotropic background.